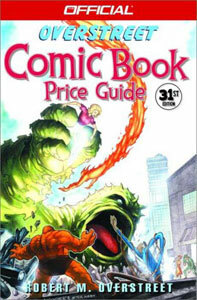 The Bible of the comic book industry for thirty-one years--and the essential tool for collectors and investors! Robert M. Overstreet has been collecting arrowheads since his childhood. He lives with his wife, Carol, outside of Baltimore, Maryland. 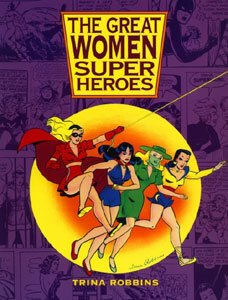 Most would be hard-pressed to name one female superhero besides Wonder Woman. Robbins shows that there have been hundreds. When psychologist William Marston (inventor of the lie detector, by the way) created WW in 1941, her success opened the floodgates for such exotically named but generally undistinguished imitations as Liberty Girl and Madame Strange. The '70s saw a rash of "women's lib" -influenced characters sporting what Robbins terms a "slightly addled feminism." The backlash came with "bad girl" comics starring buxom, scantily clad heroines appealing to an adolescent fanboy's worst instincts. The '90s offer such alternatives for girl comics readers as the punkster Tank Girl and spunky young Action Girl. Although some sense of absurdity might have been appropriate to the task, Robbins is generally straightforward in describing frequently silly characters. While she always brings a distinctly feminist sensibility to the subject matter, she is never strident, even about the most egregiously intelligence-insulting conceptions, such as the Black Canary, who fights crime in high heels and fishnets. In the confusing decade following World War II, comic books were all the rage. They treated such issues as the atomic and hydrogen bombs, communism, and the Korean War, and they offered heroes and heroines to deal with these problems. Using five representative cartoon stories, historian William Savage looks at the immense popularity of comic books and their impact on the American public. 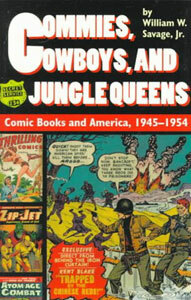 In Commies, Cowboys, and Jungle Queens, William Savage ... argues that, in the decade between the end of World War II and the comic book industry's adoption of a prissy code at the height of the McCarthy era, the comics presented a distorted but recognizable image of American mores. As a thesis, this may be a non-startler, but Savage fleshes it out in interesting detail and accessible prose, embellished with well-chosen (if dingy and cramped) reproductions of period strips. A fresh, up-to-date approach to creating comics shows artists of all ages and talent levels how to build basic figures into stylized characters, set them in action, and add the backgrounds needed to complete the visual storytelling process. 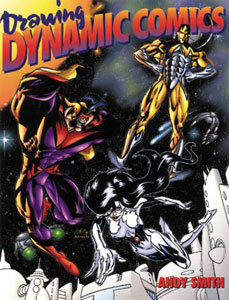 Chapters include instruction on basic shapes and perspective; human anatomy, figure drawing, and stylizing the basic figure; the head and comic facial expressions; and backgrounds and inking techniques. Terrific tips of the trade are provided by prominent young professionals in the comic book industry who share their insiders' overviews of the business, giving aspiring cartoonists a decided edge in becoming savvy newcomers as they prepare to enter a very competitive field. Andy Smith, whose own comic books are published by Image Comics, has worked as a penciler, inker, and art director for several top companies, including Marvel, DC, and Acclaim Comics. He lives in Orlando, Florida.